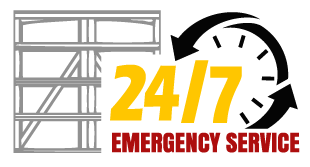 Our garage door technicians are available for you 24 hours a day, 7 days a week. Our service area includes Brookline, Boston proper and the counties of Suffolk, Middlesex, Norfolk and Essex. Call now for your free consultation and get the garage door you need. Mass Garage Doors Expert is the premier garage door repair, maintenance and installation team in Brookline! We offer fast, same-day service in many cases and never charge you more for a Sunday visit from our technicians. Our team of highly-trained garage door technicians will quickly address your garage door issues and make sure the issue is taken care of correctly on their first visit. We’ve been providing residents and businesses in the Brookline area with garage door maintenance, repair, and installation services for over 10 years, so you can trust us with your door. Get in touch with us today for a free estimate on all your garage door needs.